16.05.2015. Georgia has been ranked in the top three countries in the region for being a tourism-friendly country. Georgia placed 71st out of 141 countries in the latest Travel & Tourism Competitiveness Report released by the World Economic Forum. Spain topped the list of the most tourist-friendly countries, followed by France and Germany while Guinea and Chad were at the bottom of the list. Regionally Turkey was found to be the most travel-friendly country with a ranking of 44th, followed by Russia in 45th place then Georgia in 71st place. Azerbaijan gained 84th place, Armenia came 89th and Iran placed 97th. Georgia ranked ahead of Egypt and Israel. Georgia gained a score of 3.7 in the travel and tourism competitiveness pillar, the index was expressed using a scale of 1-7, where 1 was the worst and 7 was the best, across 90 indicators. The report assessed 141 economies. Georgia ranked 32nd best in the world for its business environment, with a score of 4.9. Georgia also placed 32nd for business safety and security with its higher score of 6.0. In terms of health and hygiene, Georgia placed 31st of 141 surveyed countries with a score of 6.1, which was the country’s best result in the whole report. Cultural resources and business travel – ranked 87th with a 1.5 score. The Report analysed the performance of 141 economies through the Travel & Tourism Competitiveness Index (TTCI) and explored how the travel and tourism sector had responded to economic, security and health shocks over recent decades. The report’s authors noted understanding the nature and extent of the sector’s resilience to shocks was important, as a strong travel and tourism sector was critical for job creation, economic growth and development in advanced and developing economies alike. 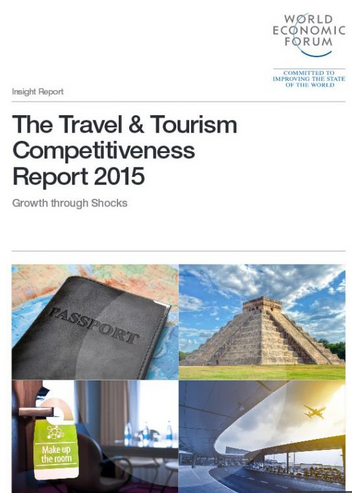 Published every two years, the report provided a strategic tool for business and governments: it allowed for cross-country comparison of the drivers of travel and tourism competitiveness, for benchmarking countries’ policy progress and for making investment decisions related to business and industry development. It also offered an opportunity for the travel and tourism industry to highlight to national policymakers the challenges to travel and tourism competitiveness that require policy attention, and to generate multi-stakeholder dialogue on formulating appropriate policies and action. Can 2015 be Georgian cuisine's breakout year?